Ominous Prediction Coming to Realization? NEWS! I’m launching an exclusive content platform on PATREON because many wonderful people have asked for more frequent updates and direct access to me. 5:30am Update, that was fast! Crypto coin movement - especially that one coin, the one New Coin that SPIRIT gave! 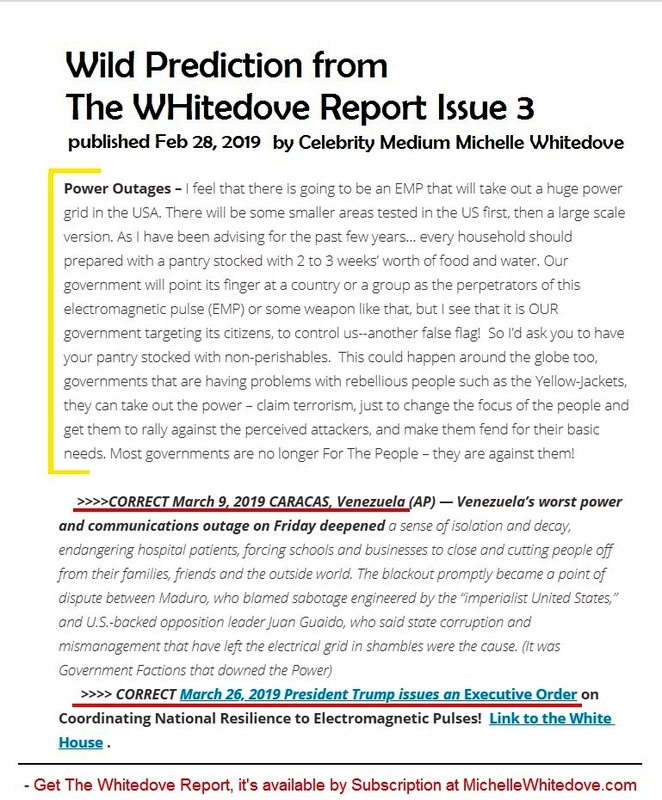 March 2nd 2019 - the 3rd issue of The Whitedove Report will be released sometime today! In Feb 2018 Whitedove went public with her first cryptocurrency predictions - #Theta is moving fast! November, 09, 2018 Celebrity Psychic Medium and Futurist Michelle Whitedove gives updates and predictions on the cryptocurrency market. Celebrity Medium and Futurist Michelle Whitedove has been warning us about the Stock Market - What is happening now? Even as the big boys said this would happen, Michelle Whitedove disagreed and accurately predicted the Crypto News Headline in her 11 Aug 2018 report! Now is the time to purchase cryptocurrency while the market is down!!! Buy low, sell high!